Aron Forbes is one of the talented musicians in the band Magnolia Memoir. 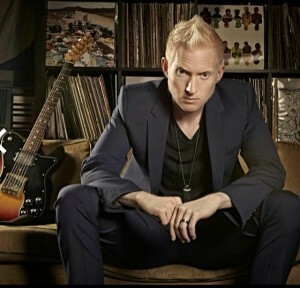 He was born and raised in Big Sur, California and began playing guitar at age 5. By the time he was 11 years old he was singing and playing in his own blues band The Blue Tones. The band was invited to play at the famed Apollo Theater where they were named one of the top three new teen bands in the nation by Teen People Magazine. Scouted by the USC Thornton School of Music, Aron moved to Los Angeles where, along with his studies, he continued to work as a guitar player for clients including BC Jean, Toby Gad, and Paula Cole. Thanks so much for your time, Aron! Where does this interview find you today? Hey there! Today I am running around like crazy trying to get ready for my trip tomorrow with Tokio Hotel – and I’m getting ready to do a Magnolia Memoir show tonight as well. I have been music directing for Tokio Hotel’s new album and we are headed to Latin America for two massive MTV arena shows. Should be a blast! I have read that you began playing the guitar at age 5. What got you to pick up the guitar at such a young age? Was your family musical? One of my earliest memories is lying next to my dad and feeling the vibration of the old acoustic Martin guitar he was playing coming through the wood floor. To this day the smell of that vintage guitar reminds me of being that little. It was all so calming and I just loved the way that the music felt. My parents have this hilarious picture of me trying to wrap my 5 year old arms around my dad’s acoustic guitar and it just didn’t work, I was way too small! I was just instantly drawn to the instrument. You were in several bands before joining Magnolia Memoir. How did those experiences compare to being in Magnolia Memoir? Everybody involved in Magnolia Memoir an outstanding musician. After all these years there is a stage chemistry you can’t get until you have played hundreds of shows together. If I decide to make a hard right turn and take my solo into some crazy place I know that the guys are going to be right there with me. One look across the stage and Alex knows what I am thinking without me having to say a word or give some crazy signal. That type of chemistry isn’t something you can buy. I have seen and played in bands with some of the very best musicians in LA that will never be able to create the vibe Magnolia Memoir evokes during a show. It is a real musical experience for the musicians and the audience, and it is different every single show because we are constantly exploring these songs every time we play them. How did you get to be part of Magnolia Memoir in the first place? And how did you call come up with that band name? What does it mean? Magnolia Memoir really started with keyboardist Alexander Burke and front woman Mela Lee. At the time, Alex and I both had just graduated from USC and shared a mutual friend, but had only heard of each other. Alex was trying to put some musicians together to record an album for Mela, and I was lucky enough to randomly get the call. At that time it was not a “band,” but I think Mela realized that was what she was looking for once the first record was finished. The name Magnolia Memoir is actually a journal that she kept over some years. I believe at the time she was traveling/visiting family she had never met and hearing great stories about her father, who passed away when she was very young. Many of those journal entries became songs. 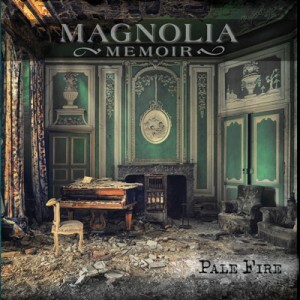 How is Magnolia Memoirs latest and third album, Pale Fire differ from anything else you guys have released? Well there is no question that this is a much bigger record from an auditory standpoint. I think it is yet another step in the evolution of the band moving toward a more unleashed sound. These songs are also more pop/crossover accessible, but we still snuck in the complexity and trickery we love as writers. I just watched your video with Magnolia Memoir for the song “Odds And Ends” and I loved it! Tell me about making that video? How did you get those actors involved? It looks like it was a lot of fun to make. I would say the title of the song really says it all. Everybody involved from the producer to the amazing actors are all friends, or friends of friends, who wanted to be a part of the concept. The song says “it’s all about the odds and ends” and that’s exactly what happened for that video to even take place. For someone who has never heard the music of Magnolia Memoir before, can you describe the jazz-rock sound of it? That’s always such a hard one… It’s really a mixture of all of our diverse influences in the band. There is 60’s rock and soul, 50’s jazz, 70’s sensibilities and a whole lot of 90’s. I always say it is 60’s art/pop but who knows what that is. I think people have to listen and see what it is to them, because something different will stick out to every individual depending on their personal taste. Is there anything in particular that you’d like people to take away from listening to the music? I like to approach working with this band like I am a guitar player in the late 60’s, early 70’s, who doesn’t know a whole lot about music but likes to play a telecaster through a British amp turned up loud! Hopefully that “anything goes so long as it sounds cool” mentality comes through. It might be more tamed on the record, but there is a whole lot of it in the live show! What was it like touring the world as the Music Director for Justin Timberlake produced artist, Esmee Denters. I’ve been a fan of hers for awhile! How did this relationship with her get started? That was such an amazing opportunity for me! At the time I was 24 and overnight I was the music director for this amazingly talented artist playing shows in front of 60,000+ people with The Black Eyed Peas and Lady Gaga. It was nuts! I got to see the world and cross a lot of things off my bucket list. I think in one year we played the 02 London 4 times… It was a childhood dream come true. I feel like that gig came along like any good work comes in LA. Not an audition, but a good friend and fellow guitar player Zane Carney told Esmee’s manager that if they needed a MD, I was the guy for the job. We met for a coffee and they were really in a bind. I think Esmee was supposed to leave in 11 days to play 30 dates with Ne-Yo. It happened very fast and I was couriered all of her show files that night. It was definitely a lesson in you never know what tomorrow may bring! You also have ventured off to help music direct Brit sensations, One Direction. What was that experience like for you? I was so fortunate to happen upon that gig. At the time I was playing guitar for the X Factor USA and Sony likes to keep all of their stuff in the family. One Direction was formed on the X Factor UK and since I had done work for both shows, they asked me to play when they were coming to America for the first time. It was total mayhem. 300-500 fans at every hotel, police escorts to-and-from shows. I couldn’t go down stairs at a hotel to get a coffee without a thousand questions, and I was just the guitar player! It really was a glimpse into how secluded a superstar’s life truly is. We would get a hotel floor blocked out and that was kind of it. Dinners were in private rooms and we always entered and left through service elevators or kitchens. You really become a team/family in that environment. How did you get involved with writing Banks current hit album? Did you know at the time that it was going to be such a successful record? My studio partner (with Alexander Burke), Tim Anderson, was actually producing and developing Banks for some time and I remember the first time she came into our studio. She was sitting at our funky old upright piano and was filming some online content and I was just blown away. I asked Tim who she was and what in the world was happening with her? One day Tim called me randomly and said that Banks wanted to do a vulnerable, stripped down acoustic guitar and voice song. I went in and started playing an arrangement against the melodies and lyrics she had come up with, and I don’t think the song even had a bridge yet. When I went into the live room to track it, it all just happened. I free styled a bridge on the spot and that first guitar take is the one that is on the record. In spite of all the other things that you do, why do you think Magnolia Memoir always pulls you back? Magnolia Memoir is one of those funny “once in a lifetime” type of bands. Everybody comes from opposite parts of the music industry. Gordon Bash, our bass player, was a huge part of the industrial heavy music scene but he is also the best upright jazz bassist I know. Mela Lee was a banker on Wall Street but she also has this insanely unique voice that reminds you of something you won’t ever be able to put a finger on. The point is, on paper Magnolia Memoir looks like the weirdest and oddest paring of musicians ever, but that is what makes it so right. Everybody has a different voice and that comes together in something special that I have never heard before. Whether I am on the road, or producing an artist in the studio, what always excites me and keeps me coming back to Magnolia Memoir is the fact that it is a truly unique musical experience. No other band will ever have this special grouping of musicians, and for me that is truly exciting. I couldn’t even begin to touch that one but what I will say is that musical growth is a life-long experience. Something that I learned early on and forgot and had to come back to, is that one very well placed note can communicate way more than 50 notes about the same topic. For me, Albert King did it the best. The guy literally had a couple of riffs but they still sounded different every time he played them. Even back-to-back the same riff was always different. Everyday I am frustrated and intrigued when I hear something and don’t know what it is. For me that desire to know is the process by which I get better. If something sounds cool to me, I have to know how it was created. Who was the player? Who was the producer? How was it recorded? What software did they use? I want to know all of it. More times than not, influences tend to bleed through. What bands are currently inspiring the music that you’re making? Who would you love to work with and why? At this exact moment in time I am really liking FKA Twigs and Dale Earnhardt Jr... Sia’s new record is great and I like Taylor Swift’s new stuff too. I kind of like everything from acoustic folk to Calvin Harris and the Glitch Mob. Anybody who has a truly unique, defined idea of what they want to sound like is intriguing to me. The role of a “producer” has changed so much and now it seems being a producer means you are more a writer/producer/artist developer. While that is one very cool version of producing I would love to do more work where an artist/band comes to me with a pile of songs and says this is what we have, how can we make it the best it can possibly be? That is a more traditional role of a producer and it would be so much fun to get involved in some more projects like that! From Open Mic Champion to Established Singer-Songwriter, Caroline Spence Reveals What’s It’s Taken To Get There! Los Angeles, Rock ‘n’ Soul band, THE DIAMOND LIGHT Talk – Meeting Their Idol Neil Young, Jack Kerouac and More. 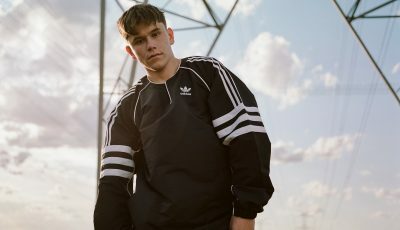 An Interview With SONY RED Music’s Australian Pop Recording Artist, JAI WAETFORD! 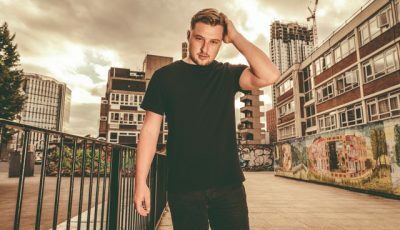 Londoner DJ JACOB PLANT Discusses New Music, Biggest Inspirations and More! 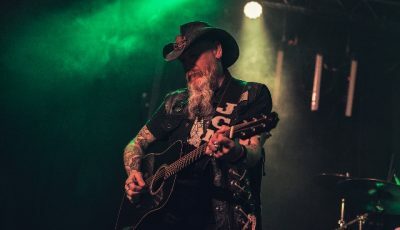 An Interview With The Southern Rock/Country Musician, JASON CHARLES MILLER!